This week's name theme is food-inspired. I have previously featured two of the names that are on the list: Basil and Clementine. I thought I would choose one that is less obviously food-related and more wearable as a name: Amandine. 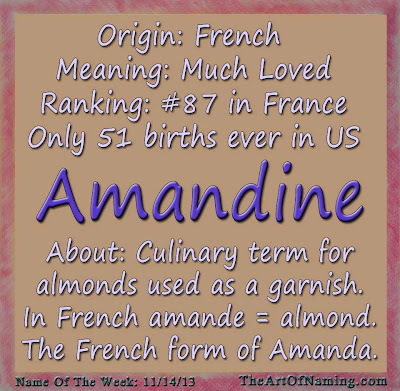 Did you know that Amandine is a culinary term that refers to almonds that are used as garnish? It is sometimes misspelled as almondine in cookbooks in the US. 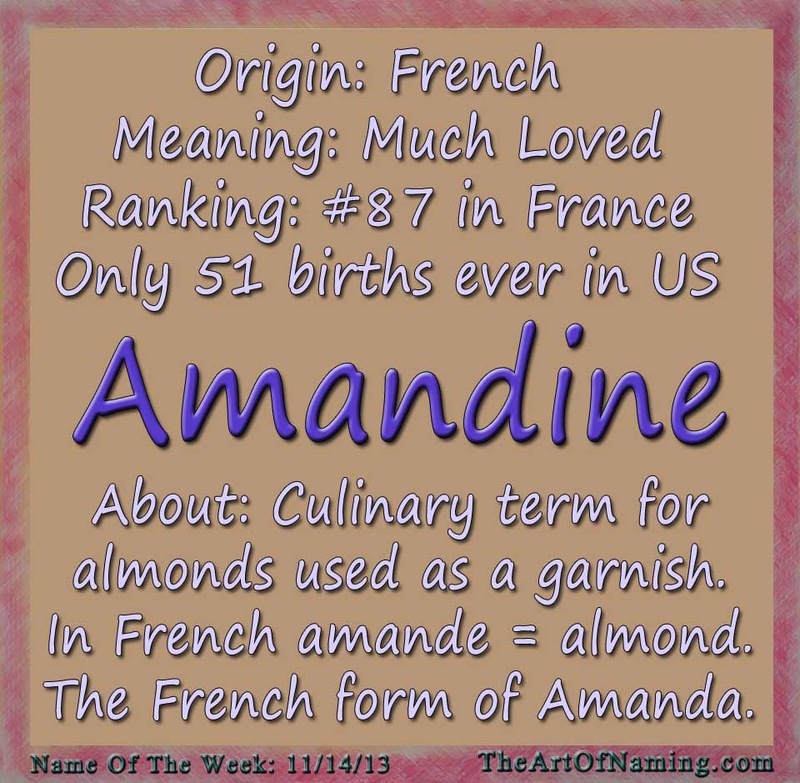 Did you also know that Amandine is the French form of the feminine name Amanda? Makes sense, right? This lovely French diminutive means "much-loved" and is a wonderfully unique twist on the previously-popular and somewhat-dated name Amanda. On that note, it would also do well to honor a relative named Amanda but still give the child a modern and unique choice. The French word for almond is amande. If you pronounce Amandine the way the French do, it would be a-mawn-DEEN. This name recently ranked at #87 in France and is occasionally used in Belgium. However, it is exceedingly rare in the US. What middle name would you pair with Amandine? 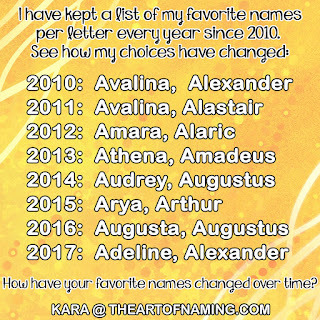 Do you have any more suggestions for a good sibling name? Let me know in the comment section! Super, super pretty! Amandine was George Sand's first name. I think it works especially well as a middle name.